🎉🐰 EASTER COMES TO CONIFOX!! 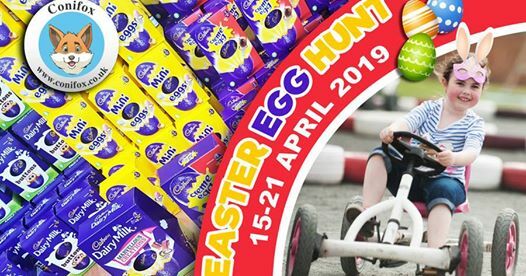 🐣🍫 Find all the clues and receive a medium 130g Cadbury’s Egg, or be a lucky winner and find our Special Golden Eggs to get a large 200g Cadbury’s Egg. Join us between 15-21 April. Normal park entry applies plus £2 to join in the hunt.